The event is the first of its kind in the polytechnic ecosystem in the country and is organised by Directorate of Technical Education and Training under the SD&TE Department, Govt of Odisha. The fest is being conducted with a view to foster healthy spirit of competition and improving the aspiration level of Diploma Students of all Government and Private Polytechnics in Odisha. 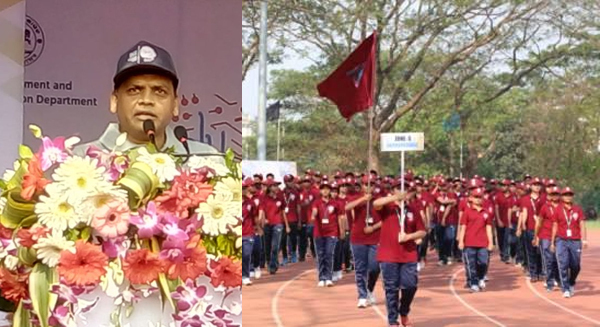 The State Level Sports and Cultural Meet "Poly Fest-2019" began at the iconic Kalinga Stadium, Bhubaneswar. Many officials believe that the event shall expose trainer and trainees to competitive spirit and teamwork and will also attract the attention of society and intelligentsia towards skill.